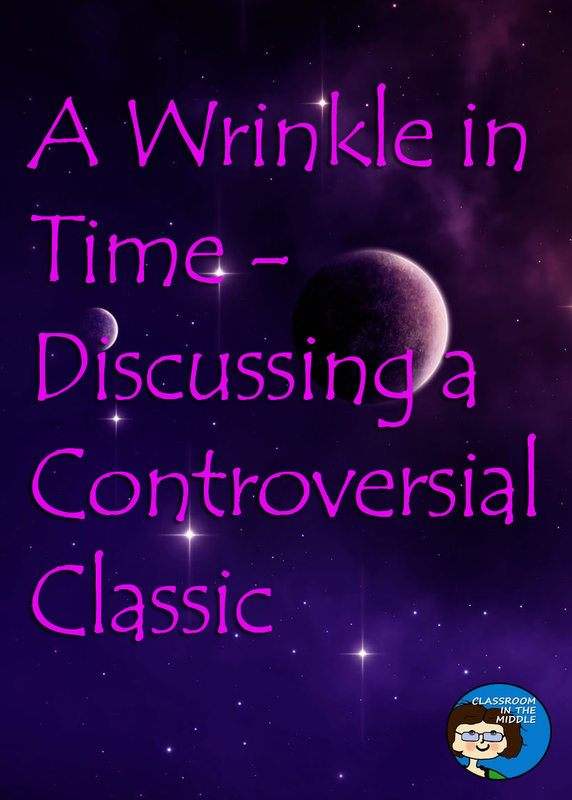 Since it was first published in the early 1960’s, Madeleine L’Engle’s novel A Wrinkle in Time has stirred up controversy. The novel, which is a mix of science fiction, fantasy, and realism tells the story of Meg, a high school girl who defeat the forces of evil in the universe to rescue her father from the evil IT. 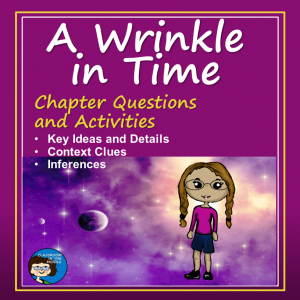 In addition to her brother and a friend, Meg is also aided by three unusual space travelers – Mrs. Who, Mrs. Whatsit, and Mrs. Which. 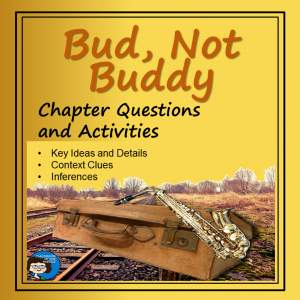 Over the years, people have voiced several objections to this middle grades novel. Early on, some people objected to the hero being a girl(!). Some complained that the story was too complicated for children. Some objected to the way the author mixed science and religion. Some people objected to its Christian point of view. Others felt that it wasn’t Christian enough. For example, there have been questions about the three Mrs. W’s who appear as helpful “angels” in the story, but also appear a little bit “witchy.” The “Happy Medium” character has been another point of contention. 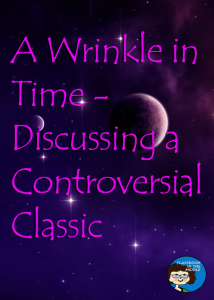 Despite it’s controversial history, A Wrinkle in Time has remained a popular novel from the 60’s up until the present time, where it is now a favorite of teachers, students, and parents (and a popular movie). Language arts classes in the middle grades enjoy discussing the controversies surrounding the novel and looking at both sides of the issues. What would you like to ask the author of a Wrinkle in Time? What would you like to ask the people who were opposed to letting students read this novel? Do you think conservative Christians today mostly would still oppose having students read this book, or do you think they mostly appreciate that it includes Christian ideas in its message. 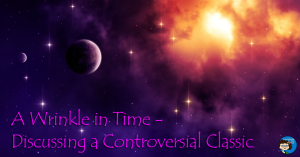 Does A Wrinkle in Time still seem controversial to you, or does it seem “mild” in comparison to other fantasy novels for young people? What is your opinion of allowing students your age to read controversial books? If you have taught A Wrinkle in Time, or are planning to teach it this year, were any of the controversies a topic of contention in your class? 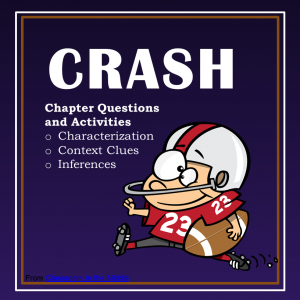 Did you choose to address the controversies in class or leave them aside and just enjoy the novel? 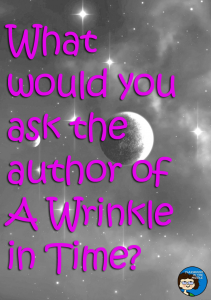 If you would like to leave a comment, I would love to hear your ideas about teaching A Wrinkle in Time.